I’ve become obsessed with make-ahead smoothie packs. This recipe features antioxidant-filled wild blueberries, chia seeds, and touch of lemon zest! I hate to waste food and I love to save time! Make-ahead smoothie packs are my answer to quick breakfasts and snacks, plus they’re a terrific way to reduce waste in the kitchen. 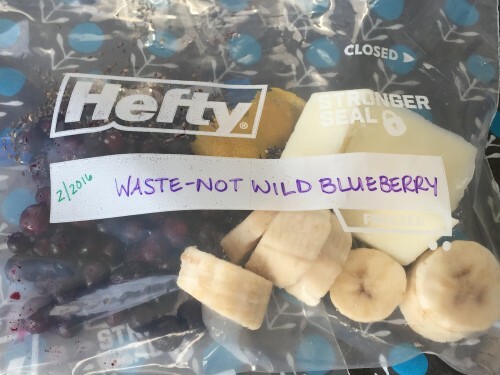 When a bunch of bananas are getting too ripe or that tub of vanilla yogurt is about to expire, measure out and toss ingredients into freezer safe bags. 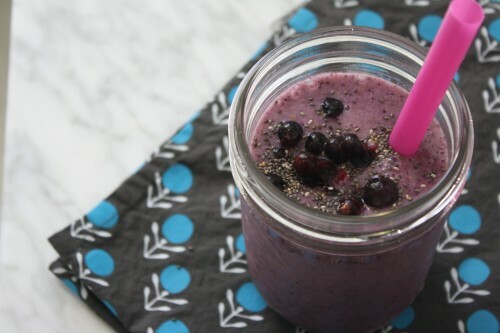 Combine smoothie pack ingredients with coconut water in a blender and blend until smooth.